Resin Grill Moroccan Pattern Discounts Apply ! These decorative air vent covers have a Moroccan pattern that is centuries old and steeped in history. This wall grille pattern is very popular with Tuscan designs, but works well with most types of decor. With 3 color choices, one of which is paintable, and 2 border designs, customizing these decorative air vent covers is a snap. Furthermore, our resin wall grilles are hand poured in the USA. This ensures high quality workmanship. The decorative air vent covers are made of a low VOC, high density polymer. This allows for the wall grilles to be resistant to bacteria, corrosion, moisture, insects, cracks, and more while still being environmentally friendly to manufacture. Do your decorative air vent covers require exact placement for screw holes? Simply order your wall grille without any screw holes and you can drill your own. When drilling screw holes into your decorative air vent covers the resin material will react much like wood will. If the grills are ordered with screw holes, the mounting hardware is included. Need matching wall grilles and registers? You can turn these decorative air vent covers into registers by simply ordering a damper at the same time that you order your wall grilles. These decorative air vent covers are special order and cannot be returned or canceled. 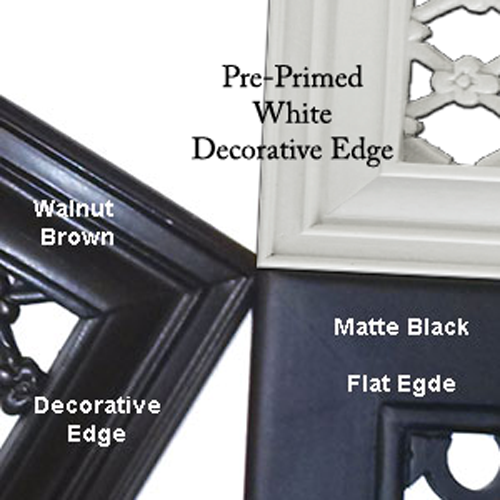 Wall grilles are sold for the duct hole size they are made to cover. A duct hole size of 12" x 6" would require 12 x 6 wall grille. The outside measurements of the grill vary based on size selected and will be approximately 1" to 3" larger than the listed hole size. The lead time on this item is 2 to 4 weeks to be manufactured. A wide range of designs are available. 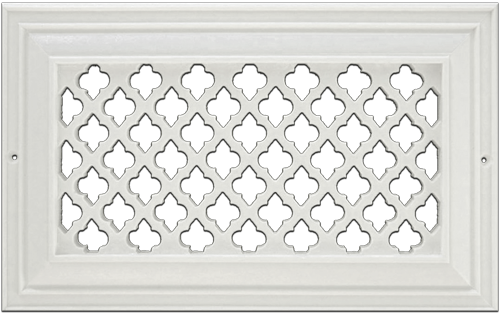 Use these decorative air vent covers to update your wall grilles and bring a bit of history to your home.